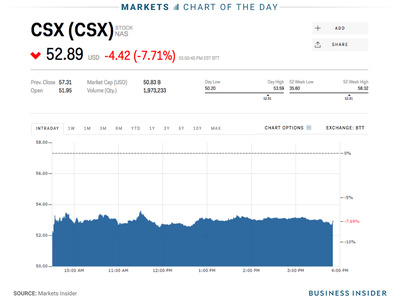 CSX shares fell on Friday after the company announced CEO Hunter Harrison has taken medical leave. The company has appointed James Foote, its chief operating officer, as acting CEO. CSX hired Harrison in March to help turnaround the company, and concerns had been raised about his health. 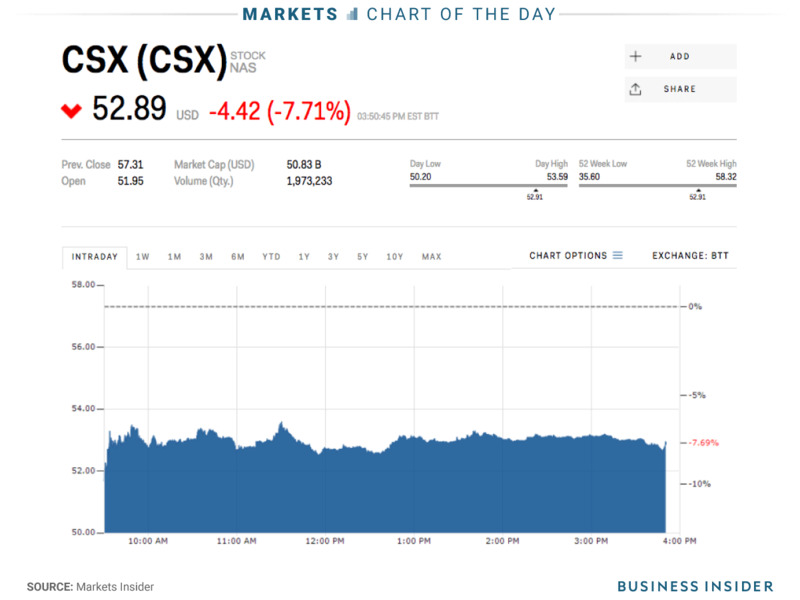 Shares of the railroad-provider CSX Corporation tumbled in trading on Friday after the company announced that its CEO has taken medical leave. Hunter Harrison experienced “unexpected complications from a recent illness,” CSX said in a statement late-Thursday without specifying the condition. CSX shares were down 7.5% to $US53.03 at 10:32 a.m. ET. They have gained nearly 48% this year. CSX named Harrison as CEO in March after activist investor Mantle Ridge bought a nearly 5% stake in the company and pressed for his hiring. Harrison was brought on board after helping to turn around Canadian National and Canadian Pacific Railway. Harrison occasionally uses an oxygen tank and concerns had been raised about his health, according to Reuters. The 73-year-old executive maintained that he was fit enough to turnaround another railroad company. Earlier this week, Reuters also reported that the US Government Accountability Office is starting to investigate the safety of CSX’s longer freight trains that were designed to boost profits.